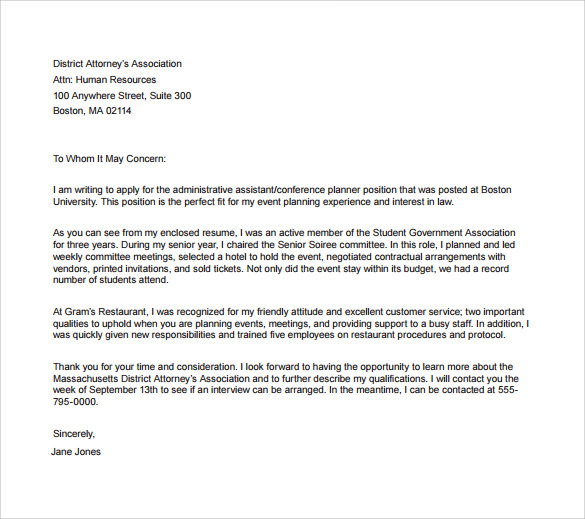 An administrative assistant has to support many employers in a company and getting into such position is not a joke. 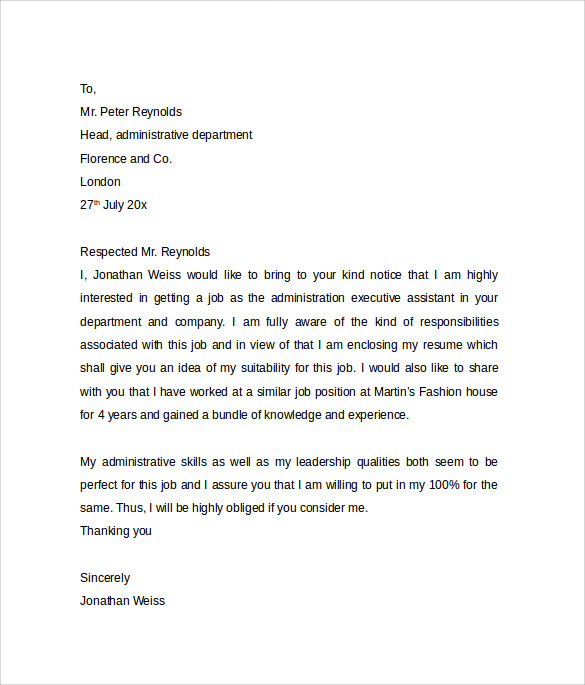 To apply for such jobs the candidate should be able to elicit his skill on all possible matters that he can handle in an effective manner. 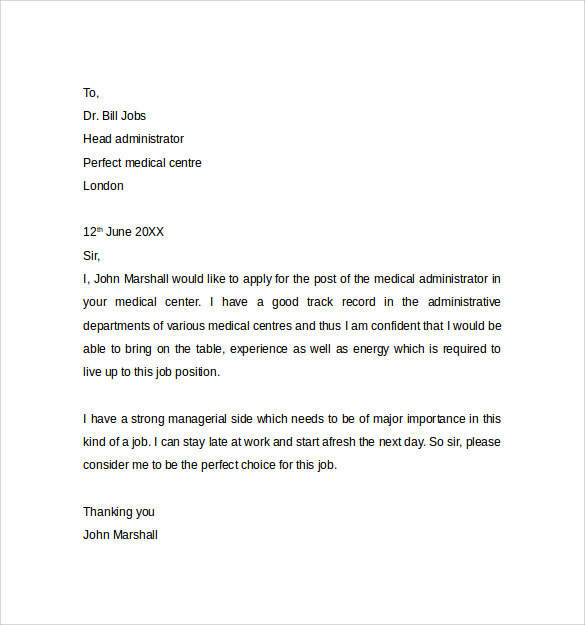 The “skill” factor is very essential and its proper presentation through a cover letter would ensure the candidate is considered as a highly likely option for the job of administrative assistant. 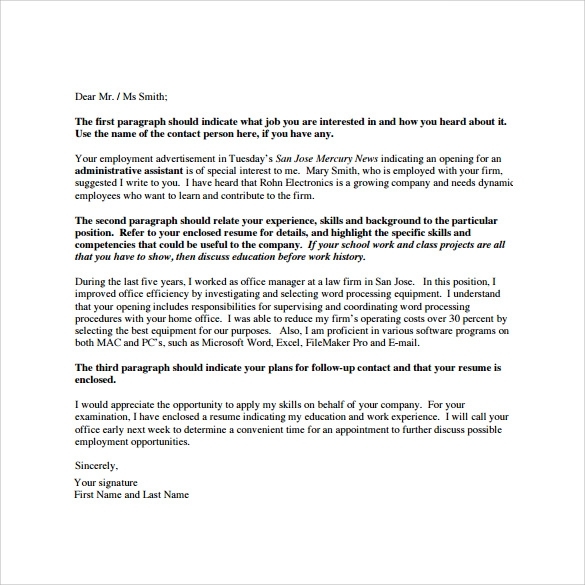 The cover letter should show the effectiveness, workability and career graph of the person with invigorating words. 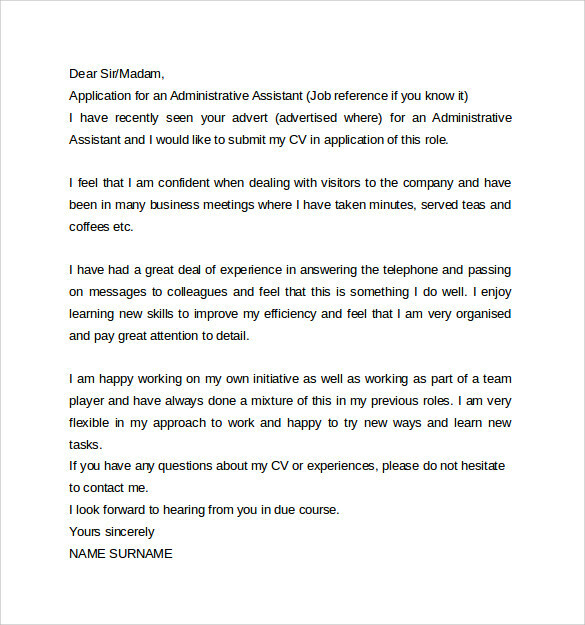 We offer such administrative assistant cover letter template that can create a great impression. 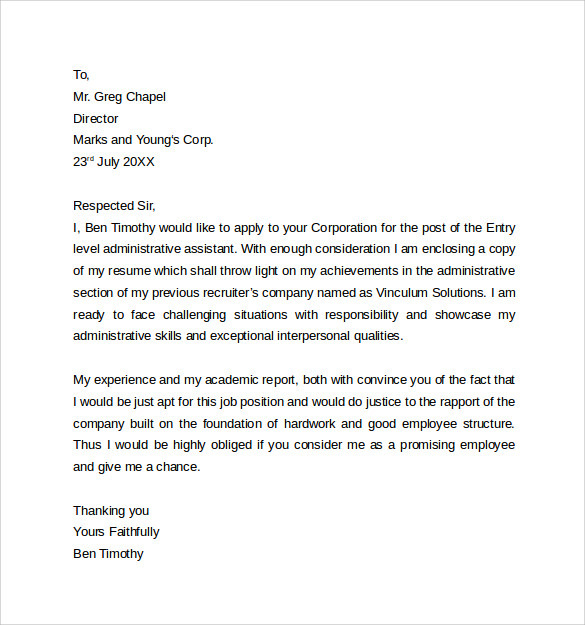 Download any administrative assistant Entry Level Cover Letter Templates from our collection of templates either in PDF or MS Word or PSD formats and edit them with ease. 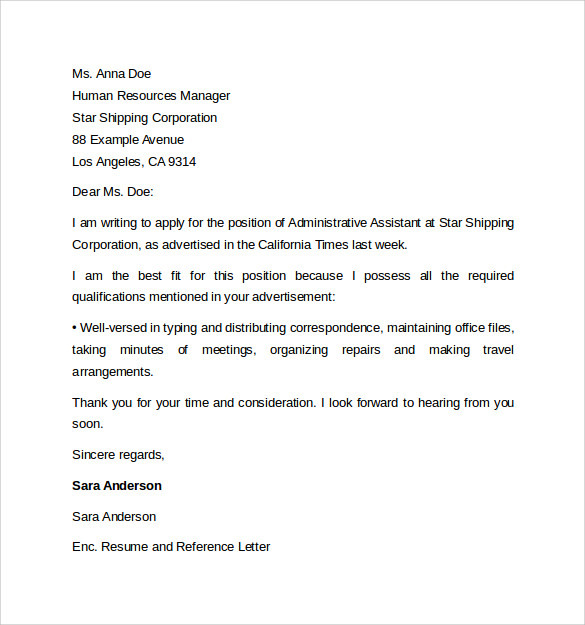 As there are numerous varieties of templates available with us, take time and select the right one to send that perfect cover letter that can right away place you in a particular firm, organization or company. 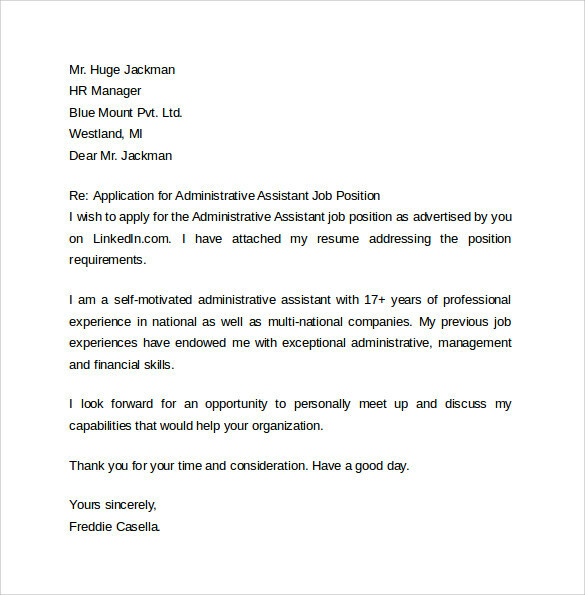 While using our administrative assistant cover letter template, make sure that it is customized properly, style the paragraphs with sufficient space, use precise words and simple sentences, proof read or edit the cover letter and maintain balance in writing throughout. 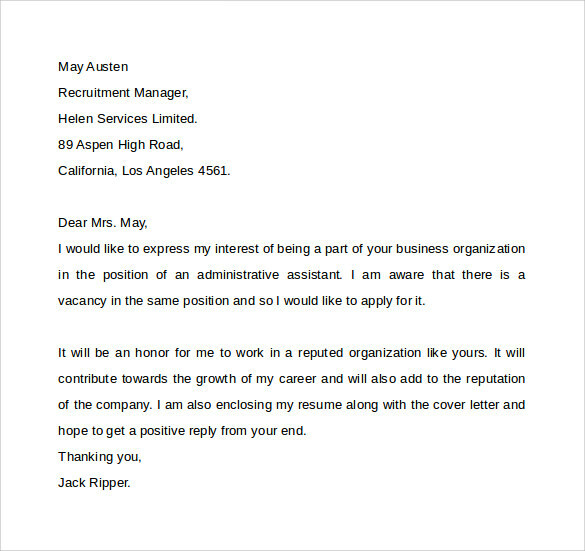 By taking care of all these aspects the cover letter would evolve into a perfect piece of evidence to your credibility and efficiency. Needless to say, this would increase your chances of getting into a company as an administrative assistant highly.